What measurable results will come from my working together with Caitlin? What makes working with Caitlin unique? My programs feature exercises and action steps that you won’t find anywhere else. You may feel overwhelmed at making the decision right now to change your life and your health. Know that I give you the knowledge you need to help you build a solid foundation and the confidence to move towards and achieve your health goals. I’ve helped many using my methods. If you’re not getting the results you want elsewhere, it’s time to learn from someone who does. I personally continue to invest in learning advanced techniques for busting through barriers to weight loss. 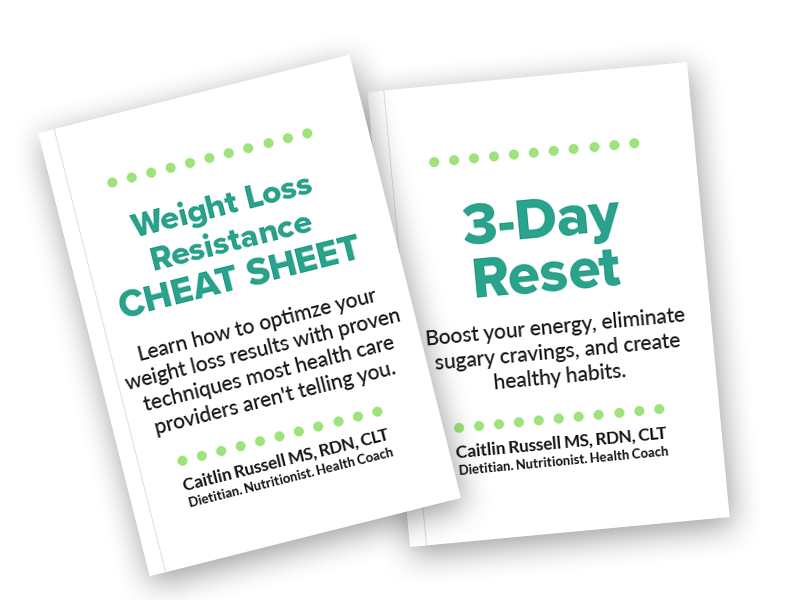 In the last several years, I’ve invested over $20,000 in additional trainings, above and beyond my Masters degree and dietetic internship, to become a better coach for you. I know that in order to be great and achieve lasting results, I have to study with those who teach how to get the results you want to have. You get the benefit of all the advanced training I have already received and continue to study. Regardless of whether you choose to invest with me or not, here’s something I really do believe: creating health and losing weight are both an inner and an outer game. You’ve got to have the confidence to take action and make lifestyle changes to create lasting success.